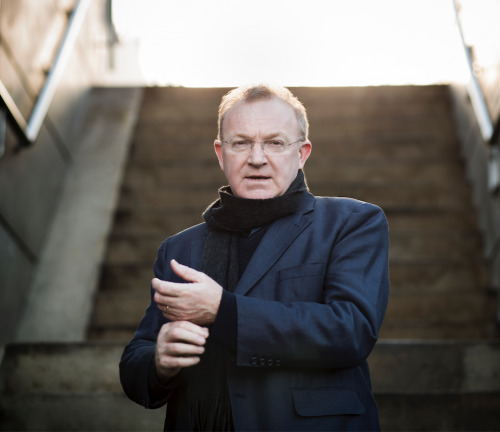 British conductor Martyn Brabbins is known for his affinity with music of the late 19th/early 20th centuries, to which he brings a Romantic sensibility, unerring sense of pace and an extraordinary ear for detail. He has conducted hundreds of world premieres by leading international composers, has championed British music at home and abroad, and has made over 120 Cds, over 50 of them for Hyperion Records. After studying composition in London and then conducting with Ilya Musin in Leningrad, he won first prize at the 1988 Leeds Conductors' Competition. Since then he has become a frequent guest with leading orchestras across the globe, and has held a succession of titles, notably Associate Principal Conductor of the BBC Scottish Symphony Orchestra 1994-2005, Principal Guest of the Royal Flemish Philharmonic 2009-2015 and Chief Conductor of the Nagoya Philharmonic 2012-2016 – remaining closely associated with all three. He has conducted many of the world’s leading orchestras including the Royal Concertgebouw Orchestra, London Symphony Orchestra and at La Scala Milan, and is a favourite of the BBC Proms, where in 2014 he shared the podium with Elder, Norrington and Gardner conducting the BBC Symphony Orchestra at the First Night. He is also a regular visitor to the opera houses of Amsterdam, Antwerp, Lyon and Frankfurt, and made his Bavarian State Opera debut in 2013. Highlights of 15/16 have included Britten’s War Requiem in Moscow with the Russian National Orchestra, and in Cologne with WDR Symphony Orchestra, WDR Rundfunkchor and the Berlin Rundfunkchor. He also made his Rotterdam Philharmonic debut conducting Holst, Strauss and Ligeti in the Amsterdam Concertgebouw; toured to Amsterdam and across Holland with the BBC Symphony Orchestra; conducted several performances of Beethoven 9 in Nagoya; and leads a cutting-edge London Sinfonietta programme for the Southbank Centre. Opera productions this season include the Peter Sellars production of Tchaikovsky Iolanta and Stravinsky Persephone in Lyon; Rake’s Progress in Budapest, Tristan und Isolde for Grange Park Opera, and concert performances of Andriessen’s La Commedia with the BBC Symphony at the Barbican and Birtwistle’s The Last Supper with the BBC Scottish Symphony. His extensive discography ranges from Romantic to contemporary repertoire. He won the Gramophone Award for Birtwistle’s Mask of Orpheus with the BBC Symphony (NMC), the Cannes Opera Award for Korngold's Die Kathrin with the BBC Concert Orchestra (CPO), and the Grand Prix du Disque in the 2013 opera category for his recording of Jonathan Harvey’s Wagner Dream. Brabbins is an inspirational force in British music, and has contributed significantly over the years, conducting almost all the major UK orchestras and appearing at the major British festivals on many occasions. He was Artistic Director of the Cheltenham International Festival of Music 2005-2007, and is currently Music Director to the Huddersfield Choral Society with whom he has had a long association – one of the many ways in which he supports both professional and amateur music-making at the highest level in the UK. He is a leading advocate of British composers across the globe, and an inspiration to young conductors in his annual course at the St Magnus Festival on Orkney and in his position at Visiting Professor of Conducting at the Royal College of Music.